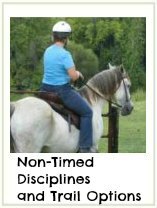 Western horseback riding always used to involve long hours in the saddle, open ranges, and cattle. 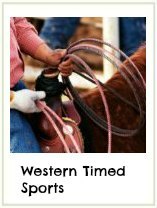 Take a look and click an image below to get in the know on how you can enjoy your horse in western tack. Times have changed and you can be a cowboy or cowgirl and never work a cow or ride a trail if you don’t want to. 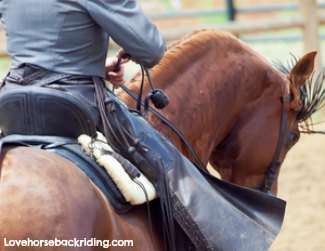 This style of horseback riding is popular in competition from barrel racing to working ranch classes. The Western style has an extremely large recreational following in the form of trail riders, too. 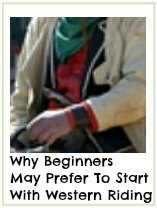 Want to know what to wear when riding like a cowboy? Or do you want to know what events you can work some cows in? Click on one of the images above to find out. 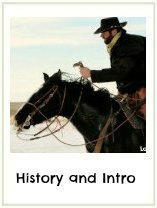 Stride on over from western horseback riding to the main page with lots of tutorials on everything from drawing to grooming!